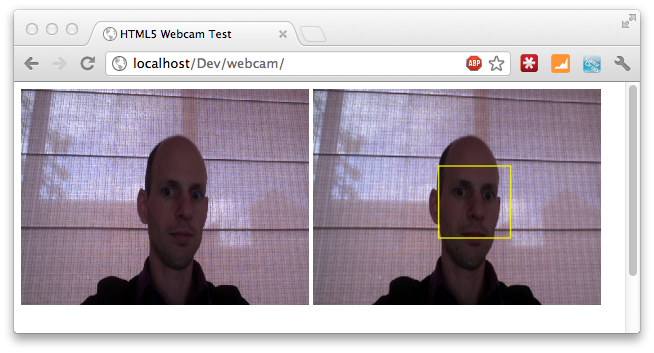 Update: in the newest versions of the webrtc spec we can also access the microphone! See here for an explanation! Update:This article is translated to Serbo-Croatian language by Vera Djuraskovic from Webhostinggeeks.com. 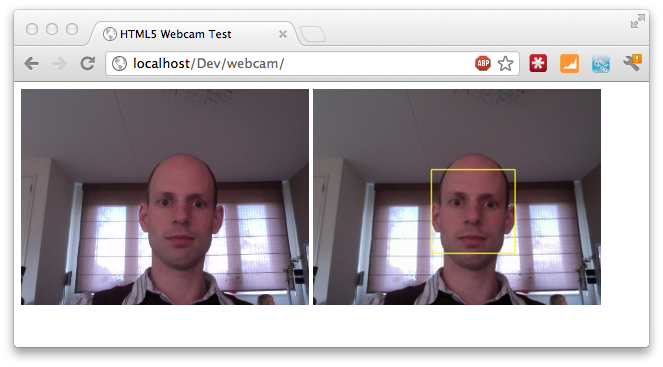 Lets start by looking at the tools and technologies that we’ll use to create our HTML5 face detection system. We’ll start with the frontend technologies. Webrtc: The specification page says this. These APIs should enable building applications that can be run inside a browser, requiring no extra downloads or plugins, that allow communication between parties using audio, video and supplementary real-time communication, without having to use intervening servers (unless needed for firewall traversal, or for providing intermediary services). Websockets: Again, from the spec. To enable Web applications to maintain bidirectional communications with server-side processes, this specification introduces the WebSocket interface. Canvas: And also from the spec: Element provides scripts with a resolution-dependent bitmap canvas, which can be used for rendering graphs, game graphics, or other visual images on the fly. OpenCV: Library that has all kind of algorithms for image manipulation. We use their support for face recognition. 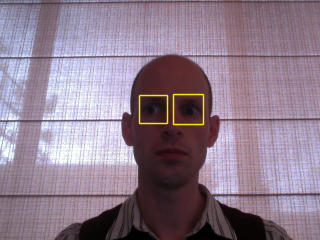 JavaCV: We want to use OpenCV directly from Jetty to detect images based on the data we receive. With JavaCV we can use the features of OpenCV through a Java wrapper. The next thing we want to do is send this stream, using websockets, to the jetty server. Take a snapshot of the current video. Paint this to the canvas element. Grab the data from the canvas as an image. 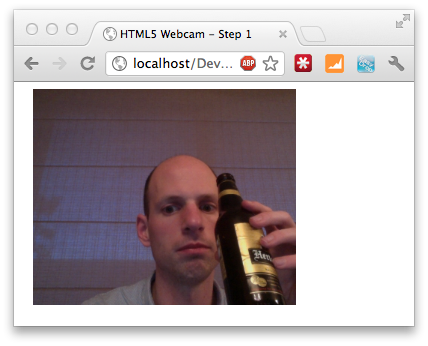 Send the imagedata over websockets. As you can see the canvas has a bit of a delay. You can tune this by setting the interval lower, but this does require a lot more resources. We could send this over as a text message and let the serverside decode it, but since websockets also allows us to send binary data, we’ll convert this to binary. We need to do this in two steps, since canvas doesn’t allow us (or I don’t know how) direct access to the binary data. Luckily someone at stackoverflow created a nice helper method for this (dataURItoBlob) that does exactly what we need (for more info and the code see this post).At this point we’ve got a data array containing a screenshot of the current video that is taken at the specified interval. The next step, and for now final step, at the client is to send this using websockets. That’s it for the client side. If we open this page, we’ll get/request access to the user webcam, show the stream from the webcam in a video element, capture the video at a specific interval, and send the data using websockets to the backend server for further processing. The backend for this example was created using Jetty’s websocket support (in a later article I’ll see if I can also get it running using Play 2.0 websockets support). With Jetty it is really easy to launch a server with a websocket listener. I usually run Jetty embedded, and to get websockets up and running I use the following simple Jetty launcher. * Simple innerclass that is used to handle websocket connections. * image through our face detection algorithm and send back the response. This isn’t really optimized code, but its intentions should be clear. We get the data sent from the client, write it to a bytearray with fixed size and pass it onto the faceDetection class. This faceDetection class does its magic and returns the processed image. This processed image is the same as the original one, but now with a yellow rectangle indicating the found face. 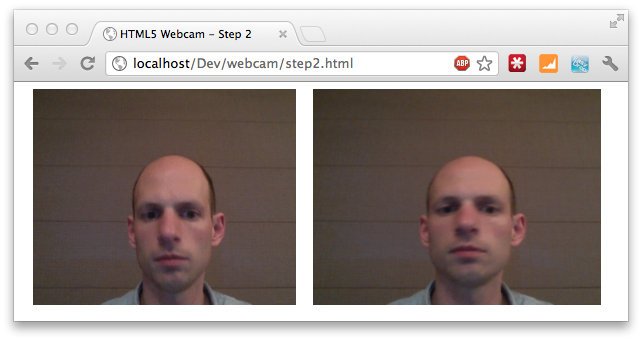 The FaceDetection class uses a CvHaarClassifierCascade from JavaCV, java wrappers for OpenCV, to detect a face. I won’t go into too much detail how face detection works, since that is a very extensive subject in it self. * Based on FaceDetection example from JavaCV. // We detect the faces. // We iterate over the discovered faces and draw yellow rectangles around them. The final step is to receive the message send by Jetty in our webapplication, and render it to an img element. We do this by setting the onmessage function on our websocket. In the following code, we receive the binary message. Convert this data to an objectURL (see this as a local, temporary URL), and set this value as the source of the image. Once the image is loaded, we revoke the objectURL since it is no longer needed. As you’ve seen we can do much with just the new HTML5 APIs. It’s too bad not all are finished and support over browsers is in some cases a bit lacking. But it does offer us nice and powerful features. I’ve tested this example on the latest version of chrome and on Safari (for Safari remove the webkit prefixes). 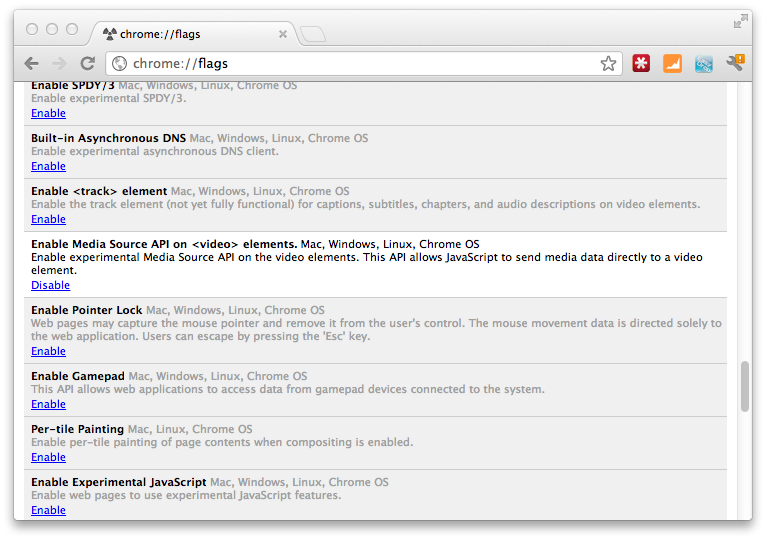 It should however also work on the “userMedia” enabled mobile safari browser. Make sure though that you’re on a high bandwith WIFI, since this code isn’t optimized at all for bandwidth. I’ll revisit this article in a couple of weeks, when I have time to make a Play2/Scala based version of the backend.